Social media may go down in history as one of the first mainstream examples of AR or Augmented Reality. If you’re unfamiliar, AR is basically a “sheen” or “veil” over normal reality. You might have a pair of AR-optimized glasses which project a heads-up display, so whenever your sight-line goes over something, information manifests which you can use your hands to interact with through the motion capture field of the AR setup. This has been in films and movies for years, the film industry just a few steps ahead of mainstream product availability. And while social media isn’t traditional “AR”, as It doesn’t use specialized glasses or infrared interface like those console video game systems which feature motion-capture, it does feature advertisements, it features virality potential, it statistically populates information based on activity patterns, and it acts for many like a filter. People filter their reality through social media accounts like Twitter, Facebook, Instagram, Gab, Snapchat, Minds, LinkedIn, Reddit, and more. Social media has become definitive in modern society, and if you don’t believe that just consider the 2016 presidential election in America. What this means for those both individually and in business is that harnessing the power of social media has become core to contemporary social function. There are quite a few apps out there, and marketers can especially capitalize on the AR similarities defining social media. And you don’t have to rest merely on apps available through a direct internal interface with given social media. Many sites are cropping up featuring all manner of apps; like Postify’s built-in image gallery. There are additionally video apps available specifically designed for marketing purposes. Animoto is a great example. Basically, you set the tone using a style or song of the video you’ve taken, customize it, and finalize it. Sharing and management is a snap. 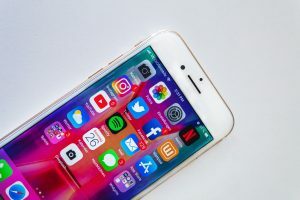 If you’re really going to fully capitalize on the apps you have available, you need to get all the contemporary social media apps people are using today, and optimize using the internal apps which they’ve made available—yes, such an undertaking does take time. Additionally, though, you can’t forget the “R” in “AR”. For example, what good is any sort of photo marketing if you’re just taking pictures of empty space? If you’re trying to make food, tech, literature, or clothing look best, you want to justify the foreground with the background. You’ll need backdrops and props, like those available from Denny Manufacturing. So whatever you do, you’ve got to consider as many angles as you are able to. Internally, you want all the latest software available to you as you need it, and you want to be familiar with its use. This is in terms of social media apps like Facebook, as well as in terms of applications which transcend individual social media platforms or are idiosyncratic to them. Like with SEO and ROI, additionally, you must measure the success of varying application usage in order to determine what’s most efficient. Once you’ve got the entirety of social media outlets internalized into operations, you must ensure what you’re spreading through them is qualitative. This means visual, video, and text content that is valuable in and of itself before being disseminated throughout apps. 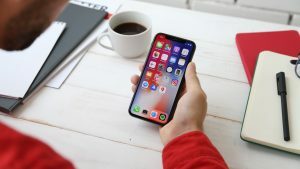 Lastly, it’s essential that you continue updating apps to round out your marketing strategy, as there will always be new ones that become available.